Differential dependencies (DDs) extend functional dependencies (FDs) to capture the semantics of distance among data values. To mine DDs in a given relation is, thus, more challenging as the more general definition of DDs creates: a combinatorial large search space; and hugely sized minimal cover sets of DDs. This paper proposes a simple, yet effective and efficient approach to mine DDs in a given relation. 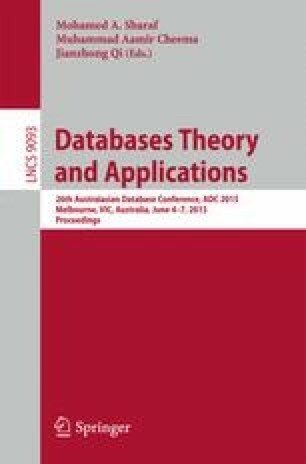 We study and present a link between DDs and association rules (ARs): paving way for the adoption of existing ARs mining algorithms in the discovery of DDs. Furthermore, we propose a measure of interestingness for DDs to aid the discovery of essential DDs and avoid mining an extremely large set. Finally, we show the efficiency and scalability of our solution through experiments on three real-world benchmark data sets. The results indicate that our discovery approach is efficient and scalable.